The Queers revisit their classic sixth full-length album "Punk Rock Confidential" and breathe new life into old tunes. Long hailed as one of their best albums, Joe Queer and the gang give us their updated versions of classic songs like "Tamara is a Punk", "Like A Parasite" and "I Enjoy Being A Boy". With a new line up and several guest musicians from bands like Parasite Diet, The Riptides and Teenage Rehab, the songs find a fresh and powerful new sound while maintaining the quality of the original record. Originally released by Hopeless Records in 1998, the entire record has been re-recorded and re-mastered for a CD release on Rad Girlfriend Records and the vinyl duties being carried by Asian Man Records. A few songs have been replaced with new songs, much like their last release, "Beyond the Valley Revisited". 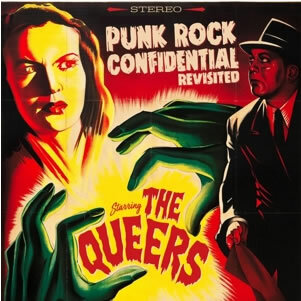 The songs are grittier, and snottier with the same amount of bubble gum pop that Queers fans are accustomed to. No Queers collection will be complete without this release.